We’re celebrating all things pony this February half-term at Redwings Aylsham with specially-themed activities, perfect for the whole family! Get involved with our jam-packed schedule, where you’ll have the chance to meet our adorable residents, including spotty and dotty Adoption Star Cookie, and the terrifying Gangsters! 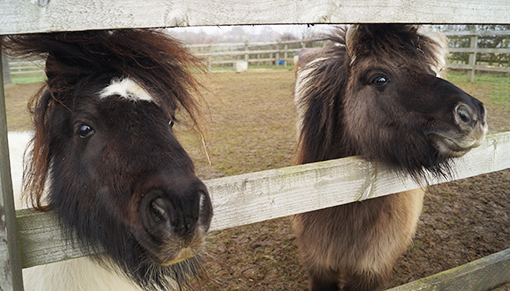 You’ll be able to have a go at pony grooming yourself, and hear all about special residents Owl and Amigo and their stories. After you’ve made some new four-legged friends, why not pop into our Nosebag Café for a nice hot cuppa and tasty treat, or have a browse of our gift shop, filled with horsey souvenirs? All proceeds go towards the 1,500 rescued horses, ponies, donkeys and mules in Redwings’ care nationwide. Redwings Aylsham, north of Norwich, is open every Friday, Saturday, Sunday and Monday, 10am to 4pm (closed Tuesdays, Wednesdays and Thursdays). Entry and parking are free, and dogs on leads are welcome too.